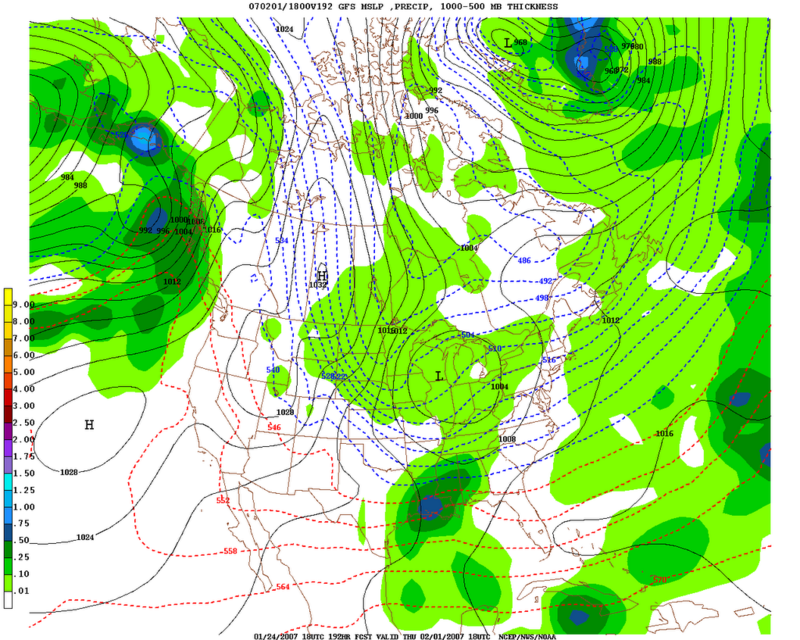 Below is a link for weather models, if you wish to get an update on the possiblility of a winter storm next Thursday or Friday. The GFS (Global Forecast System) model output illustrated below shows that temperatures will be cold enough to support frozen precipatation in the South as a low forms in the Gulf next week. In order for a significant winter storm to develop in Alabama, it would need to develop in this fashion. It's way too early to pinpoint where it will happen, but it sure seems like somewhere between Nashville and Montgomery could see a significant winter storm late next week. Looking farther out into "voodooland", as James Spann likes to call it, there may be another winter weather threat on the following Sunday.